Denis Diderot (1713-1784) was among the greatest writers of the Enlightenment, and in Jacques the Fatalist he brilliantly challenged the artificialities of conventional French fiction of his age. Riding through France with his master, the servant Jacques appears to act as though he is truly free in a world of dizzying variety and unpredictability. Characters emerge and disappear as the pair travel across the country, and tales begin and are submerged by greater stories, to reveal a panoramic view of eighteenth-century society. But while Jacques seems to choose his own path, he remains convinced of one philosophical belief: that every decision he makes, however whimsical, is wholly predetermined. 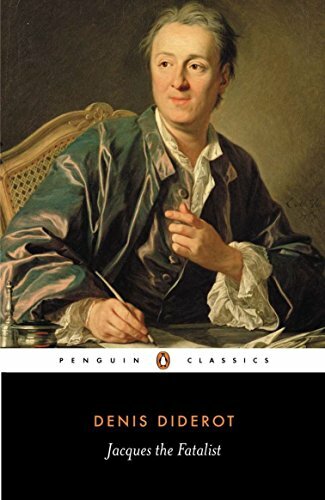 Playful, picaresque and comic, Diderot's novelis a compelling exploration of Enlightment philosophy. Brilliantly original in style, it is one of the greatest precursors to post-modern literature. If you have any questions about this product by Diderot, Denis, contact us by completing and submitting the form below. If you are looking for a specif part number, please include it with your message.